Assembled into teams, you will spend an engaging day on a series of workshops, developed and implemented so that each member will have a delightful and memorable experience. 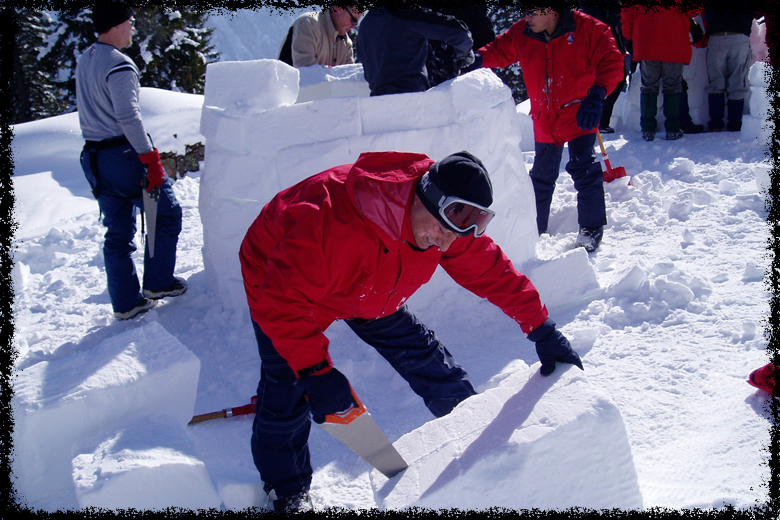 The activities include igloo building, an avalanche tranciever hunt, giant-ski race (4 people per set of skis), Biathlon (with snowshoes and air rifles). We will vary the activities according to your wishes and your budget.